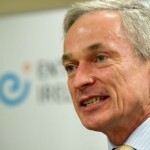 A new programme launched on the 9th July 2012 by Minister for Jobs, Enterprise and Innovation, Richard Bruton TD, will see €2million invested in a new Clustering Programme to encourage groups of businesses to collaborate together. The projects must involve a minimum of 5 companies, and will be eligible for funding of up to €100,000. It is hoped this programme will help companies to work together to achieve business objectives, increase productivity & company income, increase their market share, engage in greater innovation and knowledge transfer and enhance their capability. The programme, which is based on international best practice, is being supported jointly by Enterprise Ireland, IDA Ireland, Údarás na Gaeltachta and the City and County Enterprise Boards. Advertisements are currently appearing in newspapers seeking participants in the programme. Today’s announcement marks the delivery of a key measure under the Action Plan for Jobs 2012, and represents a new departure in industrial policy by encouraging businesses to cooperate with each other to develop clusters of strength. Some of Ireland’s major industrial success stories – e.g. pharmaceuticals, medical devices – are based on the establishment of clusters, and this initiative is aimed at attempting to replicate that success in other sectors. Projects must involve a minimum of five companies, and will be eligible for funding of up to €100,000. The initiative is aimed at a broad range of businesses serviced by the enterprise development agencies. Clusters will also be encouraged to seek to find members from other jurisdictions including Northern Ireland, global corporations with presences in Ireland, companies not clients of enterprise development agencies, trade/business associations, academic institutions and suppliers. “If we are to see the jobs recovery we so badly need, we must be more innovative in the ways we seek to move the performance of our industries to the next level. Some of Ireland’s major success stories are based on clusters – for example, the medical devices cluster, which is recognised internationally as one of the best in the world. Part of the Government’s plan for jobs and growth is to seek to replicate this across the economy and ensure that Ireland can become a world leader in a range of sectors, whether it be digital games, cloud computing, or anything else”. “Clusters like this cannot be created by Government – but must be led by businesses and people operating at the coalface. This initiative is about encouraging businesses to look past immediate concerns, and cooperate to lift the fortunes of the sector in which they operate, to the benefit of everyone. By encouraging businesses to cooperate on issues of mutual benefit, we can help to develop clusters of strength which can sustain strong companies and create the jobs we need”. Welcoming the announcement, Frank Ryan, CEO of Enterprise Ireland said: “Clusters are proven catalysts of change. By engaging in collaborative activities, companies can ultimately improve their productivity and compete more effectively on the regional, national and international stages”.